Carpets in the northern coastal Perth suburbs of Marmion, WA 6020 are subjected to the constant impact of heat and humidity, which makes it difficult to keep them in their best shape. They are in contact with dust, pollen, dirt, mud and grime on daily basis and it is necessary to clean them thoroughly from time to time. Carpet Cleaning for Perth offers the best carpet cleaning services in Marmion and we will help you keep your carpets clean and safe, and keep your household healthy and germs-free. Vacuuming your carpets is a necessary routine you got used to doing regularly to get rid of lint, hair, dust and other dry particles from your carpets. But have you ever thought of what is going on underneath? There are some deep and hard-to-reach parts of your rugs where persistent grime and scum are settling day by day and, unfortunately, vacuuming cannot help you to reach and extract them. Our carpet cleaning services in Marmion, WA 6020 will take care of that for you. We are experts in deep cleaning and we use the best equipment and biodegradable non-toxic cleaners to make your carpets as clean as new. We have years of experience in treating all kinds of carpet fibers while avoiding any chemical damage or discoloration to your favourite rugs. All you need to do is to book a cleaning and remove your furniture and we will take care of the rest. Your carpets will be in the best hands with us and we’ll leave them both looking and smelling great! Every carpet is different and requires a different approach but the goal is always the same – to keep your carpets clean, soft and beautiful for a long period of time. However, there are numerous factors making it hard to keep them that way without the proper experience and knowledge. Our experts will help you treat your carpets the right way with maximum care. We will pre-inspect them to determine which approach is the best and then we’ll use adequate technique to remove all dirt, germs and allergens that might have settled in the deep, hidden corners of your carpets. Whether your rugs need dry cleaning, shampooing and scrubbing or even powerful chemical cleaning, we can do it all. We offer several different carpet cleaning packages and it’s up to you to choose whichever one suits your needs and your budget. If you’re our first time customer, you’ll get a fantastic discount for your first carpet cleaning and we won’t leave you disappointed. After our work is done, your rugs will look as good as new and they’ll be safe for your kids to play on, as well as for your pets to nap on. So call us and enjoy the great compliments you’ll get on your carpets and rugs, as well as the soft feeling under your feet and the smell of a clean and healthy home. The upholstery is a tricky thing to clean properly. The materials used are often difficult to maintain without causing damage to them. 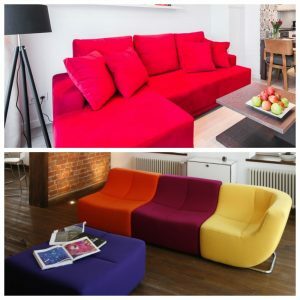 For example, suede, leather and some fabrics could easily get ruined by using water-based cleaners, while some other materials are prone to damage and discoloration from chemicals contained in the most of the cleaners on the market. 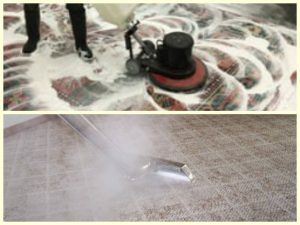 Fortunately, our cleaning professionals know everything there is to know about the different types of upholstery and different cleaning techniques that will leave your upholstery perfectly clean and with no additional damage caused. What Is the Trick With the Upholstery Cleaning? If you vacuum and clean your upholstery regularly, you might find yourself wondering what is the trick with professional upholstery cleaning and if you’ll really get your money’s worth with it. The explanation is simple. Day to day vacuuming and cleaning is very different from deep cleaning performed by our experts. We use the best products and equipment to make sure your upholstery will be left free of allergens and spores hidden within the deep-seated dirt and grime settled in the hard-to-reach parts of your furniture. Not only we’ll get your upholstery perfectly clean, we’ll also help it to last longer, which could save you a lot of money in the long run. Our upholstery cleaning services in Marmion, WA 6020 are great choice for you if you want the best care possible for your valuable furniture. You love your furniture. You’ve spend a lot of time choosing your favorite pieces and you want them to serve you for a long time. Our upholstery cleaning services in Marmion, WA 6020 will help you to enjoy the clean environment of your home with the perfectly clean upholstery that will remind you what it was like when you brought your new sofa and chairs from the store for the first time. Maintaining the upholstery in a proper way is crucial for keeping them clean and safe and for extending their lives. We will go through a series of steps necessary for giving your upholstery the best treatment possible. First, we’ll pre-inspect the materials to determine the right approach. While doing so, every one of our professionals will wear shoe covers and gloves because we don’t want to bring any additional dirt or germs into your home. After we see what we’re working with, we’ll remove dust, lint and hair from the furniture by vacuuming and we’ll spray the surfaces with special, non-toxic chemicals to break down the dirt and grime, which will help us to remove them quickly and efficiently. The most important step in the upholstery cleaning is the deep cleaning that will be next. We’ll determine whether your upholstery need dry cleaning or steam cleaning in combination with soap-free shampoo, depending on the fabric. If your upholstery is made of suede or leather, we’ll use special hot air jets to remove the dirt without making any damage to the material. The final step will be getting rid of any biological contaminants, such as fungus and bacteria, by using special enzyme treatment. Besides all of that, we will take care of your wooden surfaces by varnishing and polishing them, we’ll oil all leather surfaces with high-quality oils, and we’ll clean out ducts and filters of your air-conditioners. We’ll also be happy to give you some useful tips on maintaining your upholstery in the future in order to avoid further damages or discolorations. Here’s to the upholstery as good as new! Cleaning the tiles and grouts in your house is one of the daily chores. Regular moping indeed is important, but it’s almost impossible to remove the mold and mildew growing in the humid environment of your bathroom, kitchen or garage just by doing that. We’ve all seen the black lines spreading between our tiles and it drives us crazy, doesn’t it? Luckily, our tile and grout cleaning services in Marmion, WA 6020 will put an end to that. We’ll be happy to help you make your tiled surfaces squeaky-clean again so you can enjoy them without worrying about your safety and your health. Tile and grout surfaces require constant maintenance if you want to keep them clean and free of the mold and bacteria. Dark and wet corners are the ideal environment for their thriving and once they settle in your bathroom or kitchen, it can be very hard to get rid of them. Our professionals will help you with that by using special disinfecting liquids, antibacterial cleaners and other specialised cleaning equipment. 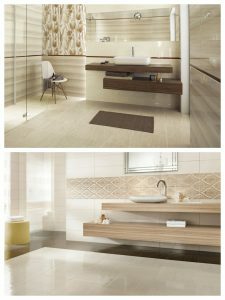 Once we’re done with the cleaning part, we’ll give you a couple of useful advice on how to maintain your tile and grout surfaces for the best results. Cleaning tiles and grout lines perfectly is not an easy job at all. Thankfully, our professional cleaners have years of experience in that field, as well as the best cleaning equipment and natural and non-toxic cleaning products that will make your home clean and safe. The mold and bacteria growing in the wet parts of your home are dangerous for your health, not to mention the health of your children. They spread quickly and can cause a permanent damage to your tiles and grouts if not maintained regularly. If you feel there’s already been too much damage made to your tiles and grouts, feel free to call us and ask about the fresh caulking and the potential costs of getting things under control. We’ll come to inspect the situation and we’ll offer you the best solution for your tile surfaces, at the best price possible and your tiles will again be shiny and sparkling like new. Call us today and we’ll help you make your home cleaner and safer with our professional cleaning services suited for everybody’s budget.